Register for Events using Google docs forms in 2019. Pay HERE with or without Paypal. Monthly Meet-Ups are mini parties for girls of all ages and a great opportunity for fellowship and inspiration. Stop by to connect face-to-face with other girls and women at this no pressure open house. You will learn about Glow Girls products and services and can drop a note in our suggestion box for a chance to win a prize. Free drinks with a light sugary and salty savory snacks. *Healthy snacks sit in corner! Help yourself. Vision Board Parties are your chance to share your vision with others or gain clarity on what your vision is. You are sure to gain insight and get just the motivation you may need to dust off or update that Vision Board! Who says you have to complete your Vision Board in December? You can create it anytime and you can update it anytime. Keep an eye out for upcoming quarterly parties in 2019! Bring your old board to upgrade it or start FRESH with a new VISION! Join our mailing list to receive event invitations FIRST before released to the general public. Fill in the blanks below to inquire about hosting your own private group session. All sessions include a lesson and a craft (supplies provided). You can reserve the GGWW space and classroom for 2 hours for your private session led by GGWW. Complete the Interest Form and someone will contact you to discuss your session details. Come for 3 hours of food, fellowship, self-worth discussion including self talk, mirrors and even a craft and photos...selfies, of course. Space is limited. Let's go to another movie! There are some great movies coming to our local theater! Check in often to see when we're going. Join our mailing list for an invitation to attend movies with the Glow Girls and GROWN Girls. Become a Glow Girl and stay informed! Glow Girls Vision Board PARTAY! 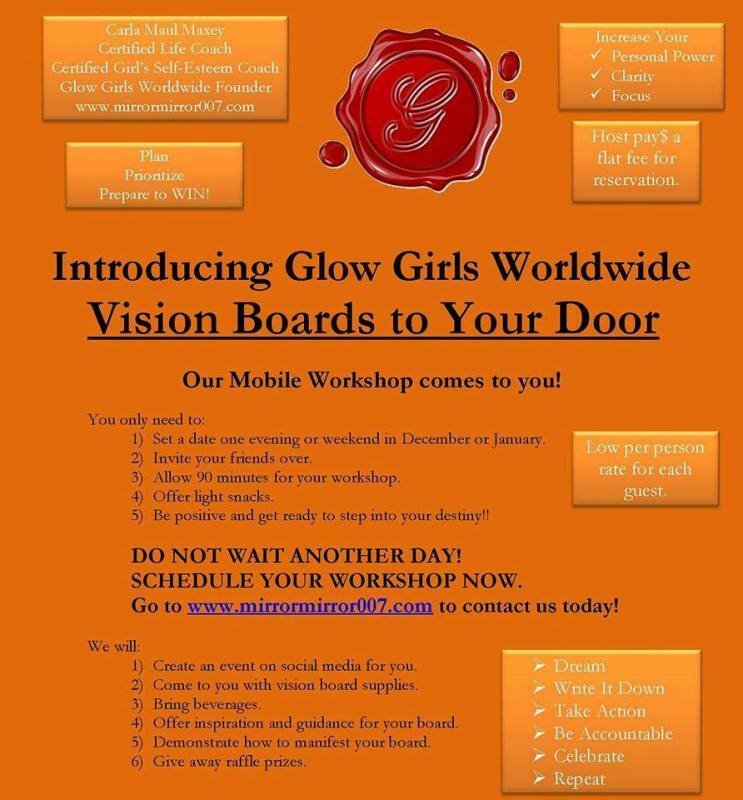 Glow Girls Vision Board PARTY! Let's go see Hidden Figures The Movie! Glow Girls is all about Personal Power and this movie is a demonstration of that, is based on a true story of some female superstars glowing and making history! Sample embellished hand mirrors to be created by elementary and middle school girls during one of the Glow Girl workshops . 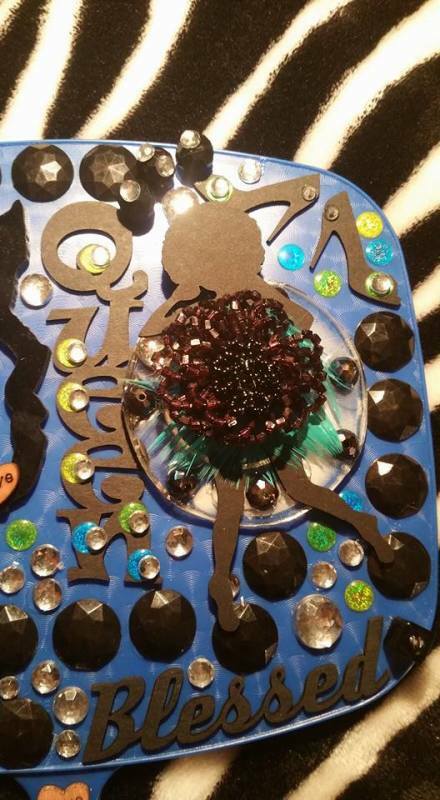 Each mirror tells the girl's story based on who is on the inside. This is Coach Carla's mirror. 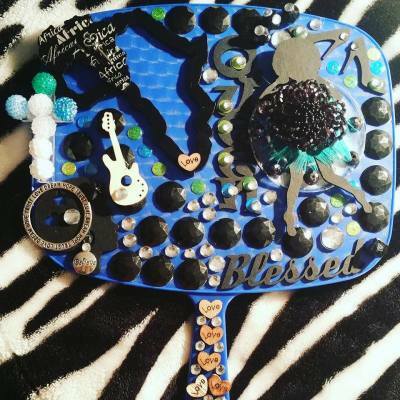 Vision Boards are visual craft projects that are created to offer you a constant reminder of the dreams and goals that you are working towards. Your board filled with pictures, phrases, clipart, magazine clippings, embellishments and a MIRROR is placed in a location that is highly visible to you so that you do not lose sight of what it is that you said you want to happen in your life. Every goal represented on my 2016 & 2017 & 2018 Vision Board absolutely happened!! Attendees: Your invited participants ONLY! MY DREAMS BEGINNING IN 2018 and BEYOND? ME: Use the CONTACT box on the HOME page to inquire about a Vision Board Party of your own! The party is ideal for you and your friends, co-workers, church family, cousins, or anyone else you want to spend time with as you map out 2018 and beyond! Vision Board Party like this before! I promise! This fun and interactive workshop is for girls and 1 caring adult who is likely to work through the journal with them once they return home. This lesson in self-perception will introduce the girls to journaling and includes fellowship and journal activities. Each girl will receive a journal to take home. The girls will make flowered pens to write in their journals. This workshop is for girls in elementary school and will include a lesson on better choices and peer pressure along with a mirror embellishing craft project. This workshop is for girls in high school and will include teen-focused discussion points along with a flip flops embellishing craft project. 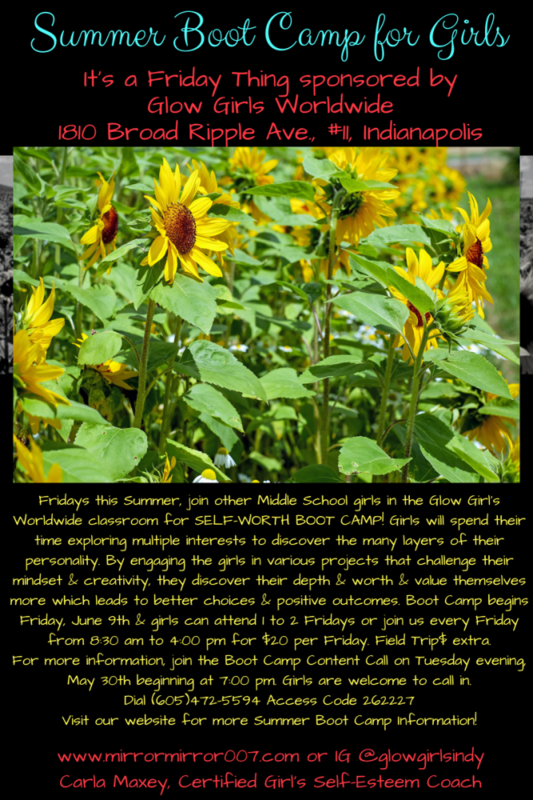 This workshop is for middle school girls and includes a self-talk session and fellowship. Each attendee will receive an autographed copy of their own MIRROR MIRROR 007 activity journal to use during the session and to then take home. The girls will also take home a friendship bracelet that they make. Check this page often to stay informed on upcoming event$ including workshops, fellowship and lectures. Go to our Facebook page to watch for future public event$ or email us to schedule a workshop for your group at your location or our Broad Ripple Avenue location.